For Honor’s biggest update ever is almost here! 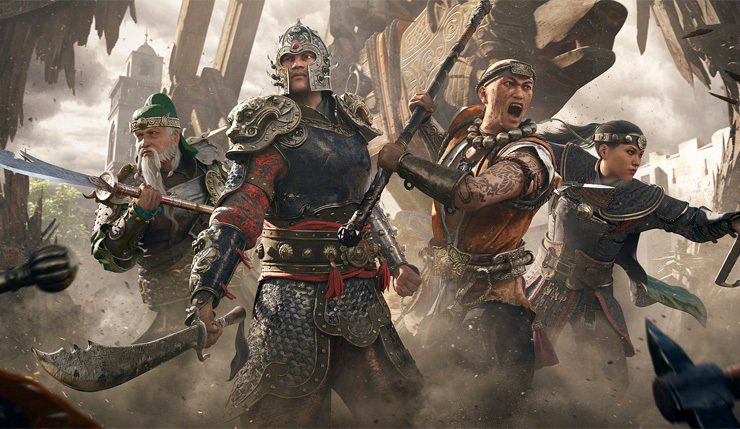 Marching Fire introduces the Chinese Wu Lin faction, adding four new Heroes, the strategic 4×4 Breach Mode, Arcade mode, updated graphics, and more. Ubisoft may be branding Marching Fire as an expansion, but it’s almost a stealth sequel. You can check out a trailer for the update, below. And here’s a ton of Marching Fire gameplay courtesy of the latest Warrior’s Den livestream. Four warriors from the Wu Lin faction are traveling west after civil war, betrayal, and personal tragedies strike close to home. Jiang Jun – once a feared general, now uses his guandao to wreak havoc on the West. Nuxia – a bodyguard betrayed by allies, uses her hook swords to slay anyone who stands in her way. Shaolin – a warrior monk forced to watch his monastery burn, now spreads the gospel with his staff. Tiandi – once sat fourth in line for the throne, but was consumed by madness and killed his brothers, ultimately leading to the defeat of his empire. He atones by seeking out the wicked with his broadsword. Arcade mode is a new solo or two-person online co-op mode where players fight battles and earn rewards that carry over to all multiplayer modes. This mode allows you to explore new heroes and level them up before taking them into PvP. With infinite replayability, this quick-play mode will deliver a new battle every time with varying objectives, enemies, and modifiers. Beginning in November, Arcade mode will feature weekly events and challenges with exclusive rewards. Also, as an added benefit, players who own Arcade mode can play with friends who haven’t yet purchased the mode. Attack and defend a castle in Breach, For Honor’s new strategic 4v4 PvP mode. Attackers must work together to storm the castle gates and kill the Lord of the castle, while defenders must either take down the battering ram or kill all attackers to protect the Lord. Updated and enriched textures – Every single texture in For Honor has been enriched from the ground up. Players will see more detailed surfaces and experience greater draw distance. Improved Global Illumination – Lighting in For Honor is now even more realistic, thanks to a revamped Global Illumination system. Players will now better see light bounce, reflect, transmit, scatter, and be absorbed by and off surfaces to create a more photorealistic ambience. New sky and cloud technology – The introduction of a brand-new sky gradient and realistic clouds. But that’s not all! 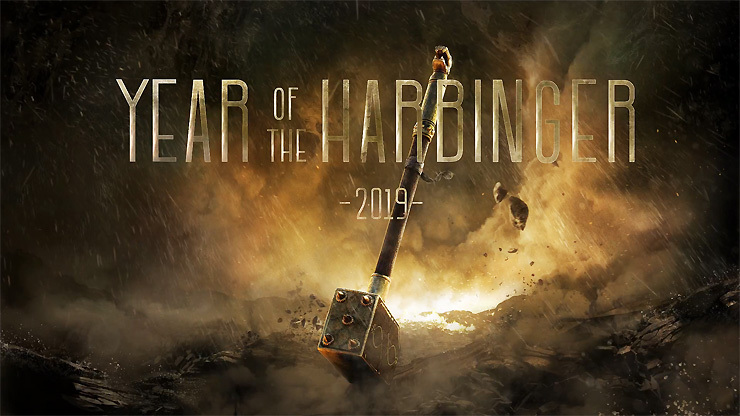 Ubisoft has also dropped a teaser image for For Honor Year 3, which will apparently be titled Year of the Harbinger. Not a lot to be gleaned from the image, but it seems we’ll be getting one or more war-hammer-wielding Heroes. For Honor struggled with server problems, manipulative microtransactions, and other issues following launch, but Ubisoft stuck by the game, eventually turning things around. According to the publisher, the game recently surpassed the 15 million players mark. For Honor is available on PC, Xbox One, and PS4. The Marching Fire expansion will be available on October 16. Players will be able to buy Marching Fire Heroes individually with in-game currency on October 30.